The steamboat restaurant was also in a hotspot as there were media articles surrounding one of the restaurant’s dishwasher, Mr Jimmy, and his skin condition. The summary would be that a diner called in after his meal and asked the manager Sharon to terminate Mr Jimmy’s employment. Reason being was that the diner misunderstood his skin condition, neurofibromatosis, and wrongly assumed that his condition was contagious. Sharon, who manages the Rangoon branch, corrected the diner’s poor judgment and stated that his condition has no affect on the restaurant’s hygiene standards or the quality of the food. This incident has shone good light on the company and its fair employment practices that restaurant staff should be assessed equally regardless of appearance. Here we have Sharon and the head chef at Whampoa Keng, who has difficulty finding jobs due to his size. As most kitchens are smaller, the head chef has trouble moving around comfortably. Sharon, however, made it possible for the talented chef to work in her kitchen. Sharon really has a kind and big heart that is so very rare these days. 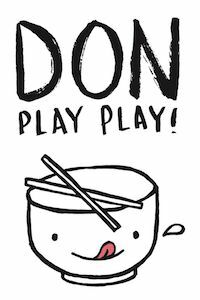 I have tried both outlets and there are minimal differences in terms of menu and taste. 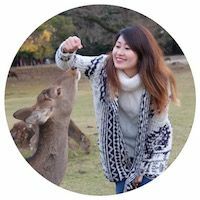 This can be attributed to similar preparation methods for the steamboat broth and several zi char dishes. The main observable differences are mostly logistical - that the Rangoon Road outlet is located on a less crowded street, which means easier parking, and that the restaurant layout is more spacious so patrons would not feel as cramped as if they were in its Balestier counterpart. The first of its signature dishes I ordered was the prawn paste chicken. 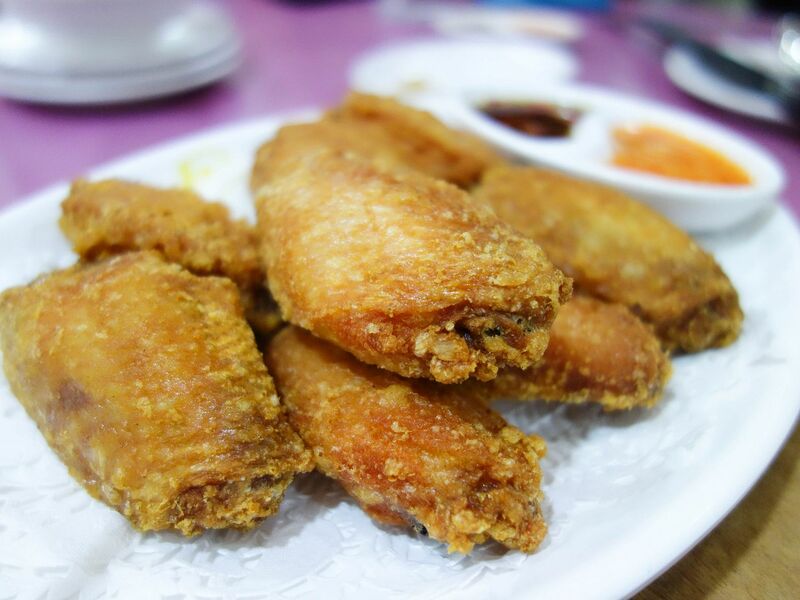 The mid wing joints had a beautiful golden exterior and there was a wonderful fried prawn paste aroma that automatically made my stomach churn, signaling my brain to have one straightaway. Another dish the staff proudly recommended to me was its homemade seafood tofu. 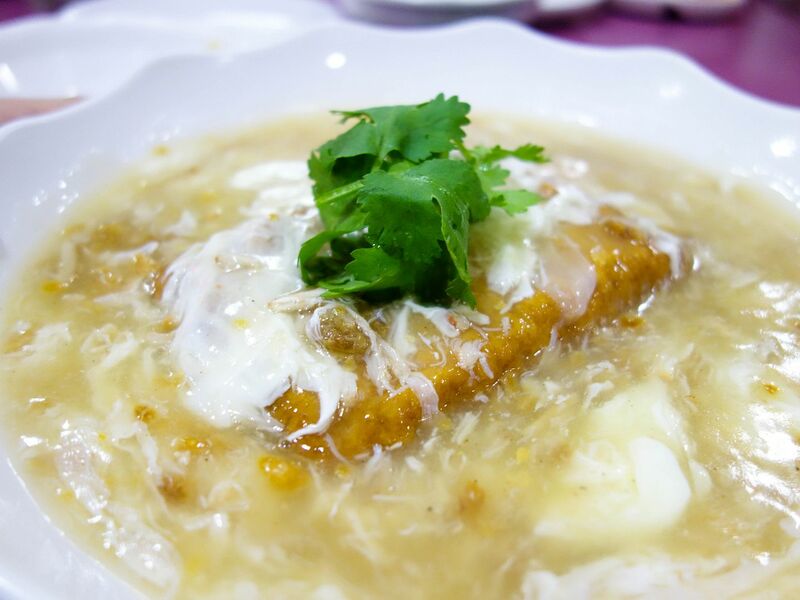 It is prepared by mashing silken tofu then mixed with egg and finally steamed before adding the seafood sauce. This was a decent tofu dish but the sauce, even with garlic and dried shrimps, was quite bland. 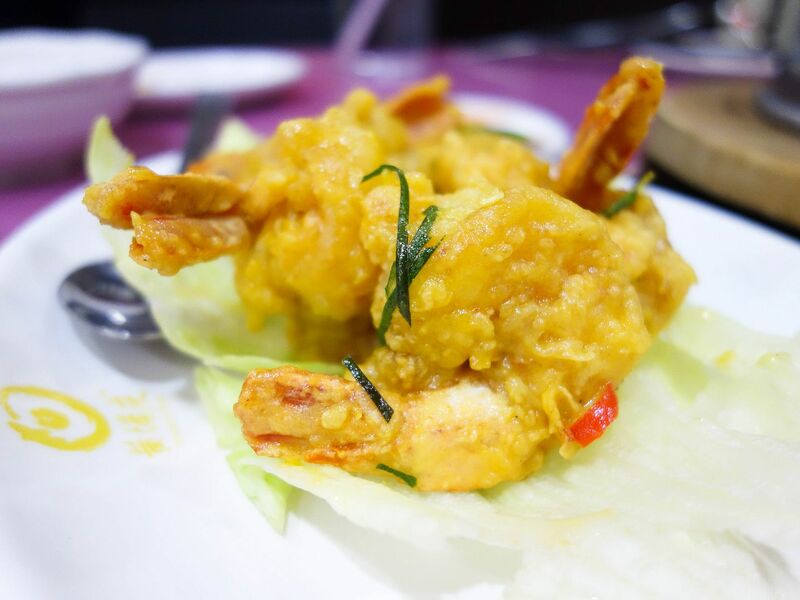 The salted egg yolk prawns were enjoyable because each prawn was sizeable, which gave each bite quite the crunch! Some would have different preferences, some prefer just a dry coating but I prefer a little more sauce so I could douse my prawns in the sauce for that extra salted egg goodness! This was one of my favourite dishes of the night besides the obvious fish head steamboat! These sweet and sour pork ribs were served in a unique way. 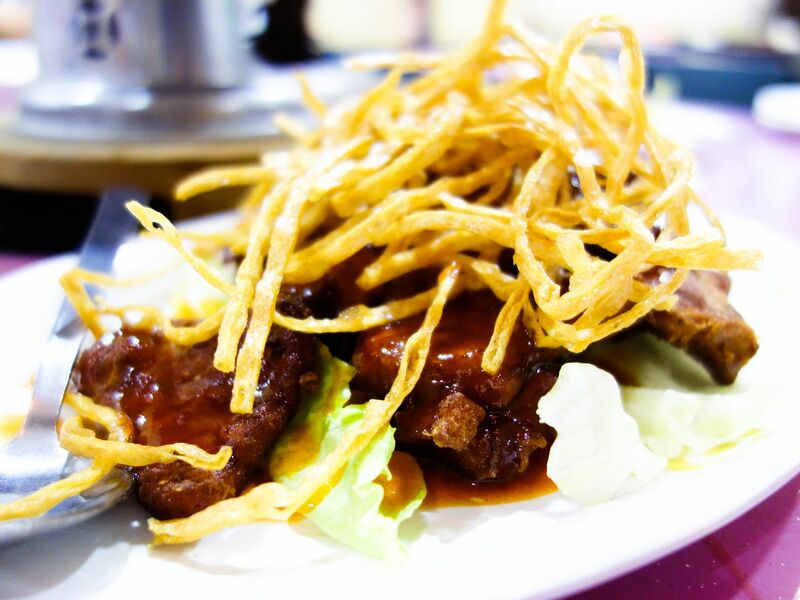 The restaurant puts crispy codfish strips on top of a bed of succulent pork and sweet and sour sauce. The codfish strips add a subtle saltiness to the dish and a different texture from the pork. If I weren’t having the steamboat, this dish would be my staple together with my rice. 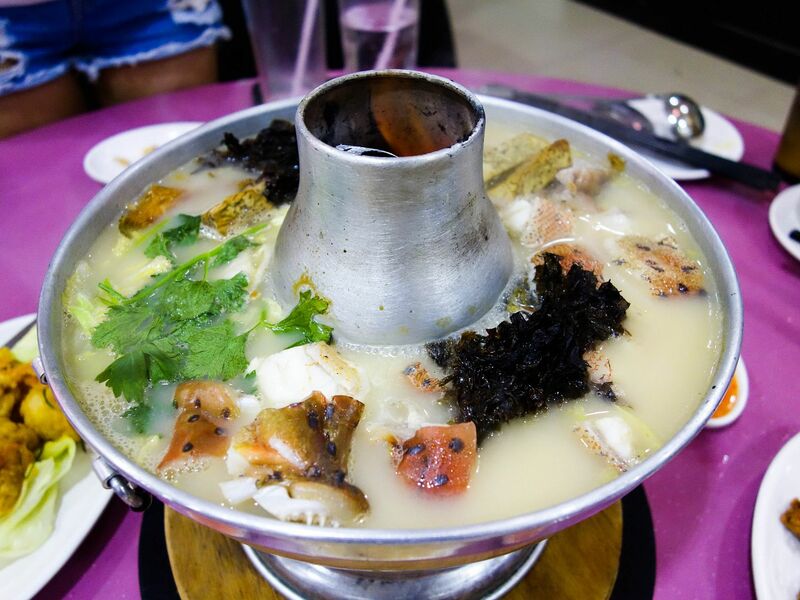 For the fish steamboat, there is the option of having either pomfret or grouper. I had the grouper this round because I had the pomfret previously at Balestier and I wanted to try something different. The soup was still delightfully sweet though I had the cheaper grouper. No doubt it’s because of the fresh fish head, fish slices, yam chunks, and along with 30 other herbs and ingredients that are said to go inside! Moreover, the steamboats are cooked over a charcoal fire. I’m unsure of the science but I prefer the taste of the soup and the ingredients when a charcoal fire is used compared to gas or electrical stoves. Perhaps it has something to do with the convection of heat. After happily consuming all the ingredients in the pot, drinking the soup is definitely a must. After a while, the soup becomes more concentrated and the flavour of the fish and vegetables become more accentuated in the soup, which makes a tasty conclusion to the meal. 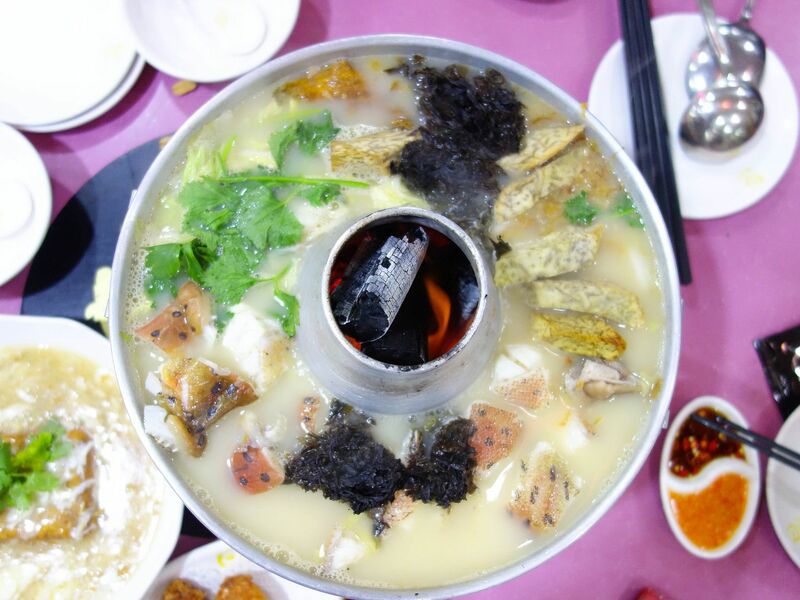 Overall, Whampoa Keng Fish Head Steamboat is a great place for good food with friends and family. The steamboat especially doesn’t disappoint and only leaves you satisfied. I am definitely heading back there soon. In addition to their signature fare, you and your family can celebrate the Lunar New Year festivities at Whampoa Keng with their CNY set menus! One should contact Sharon at 9023 2854 or the restaurant's main line at 6296 8843 to make a reservation as soon as possible to avoid disappointment.